Augmented reality can repurpose learning and this is exactly what smart classes do, especially in a developing economy with a huge rural urban divide, where technology is the only solution to overcome stumbling blocks such as lack of textbooks and blackboards. India’s education sector has witnessed phenomenal growth, and according to India Brand Equity Foundation, it is expected to nearly double to $95.80 billion by FY15 as demand for education is expected to take a leap. Furthermore, software companies are also aware of the fact that there is need for simple technology that can be comfortably used in rural areas by people who have either not been introduced to technology or are not comfortable with it. Technological tools are a necessity today and students today have more than 20 technology tools to gain information from, so teachers with the same knowledge base are not sufficient to quench their thirst for knowledge. There is requirement for much more and the need thus is for more technology intervention. The population of India in the 0-24 age bracket is twice the population of US and India still has a long road to travel to match global standards. According to the Indian Education Sector Outlook — the total number of schools in India stands at 1.3 million, and only around 10 per cent of the private schools have tapped the potential of multimedia classroom teaching, whereas in government schools, it has barely made any inroads. According to market research, the current market size for digitised school products in private schools is around US$500 million. This is expected to grow at a Compound Annual Growth Rate (CAGR) of 20 per cent to breach the US $2 billion mark by 2020. However, the market potential then might get as big as US $4 billion. Apart from this, the current market size for ICT in government schools is US $750 million. This is expected to grow five times by 2020 due to the current low level of penetration in government schools. This makes India a very promising market for introducing newer technology in classrooms. A recent trend is that schools in tier two and tier three cities are increasingly adopting the latest technology. 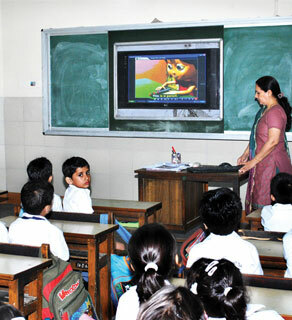 Moreover, state governments are also giving a boost to the adoption of technology in schools. There has been a significant improvement in student enrolment and attendance, as well as a reduction of student dropouts due to ICT interventions. Yet another study conducted by the Xavier Institute of Management in Bhubaneswar in 2007 revealed that computer-aided education has improved the performance of children in subjects such as English, mathematics and science, which are taught through computers using multimedia- based educational content. 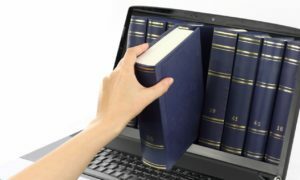 Furthermore, with technological innovations gaining ground in the arena of school education, there has also been a growth of education-focused tablet computers in the market and the trend is only picking up.